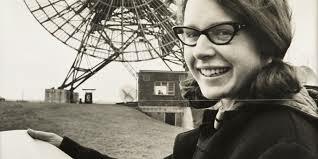 Twenty-four-year old Jocelyn Bell Burnell gave an interview to the English press in August 1968 along with a male colleague, after she had discovered a new type of star, a pulsar. Her discovery would gift two male colleagues a Nobel Prize and immortality. During the interview, which the Lurgan born scientist was told to do by her bosses, Jocelyn noticed the reporter’s serious questions were aimed at the man, while she was asked about her ‘vital statistics’, her hair and whether she was the same height as Princess Margaret. The photographer asked her to loosen a few buttons on her blouse. The effect was, as Jocelyn told the InspireFest 2015 meeting in Dublin’s Bord Gais Theatre yesterday (18/06/15) that she ended up feeling ‘like a piece of meat’. She wanted to say something to these men treating her that way, but she bit her lip. This was still a society where men, and most women too, felt that a woman’s place was only in the home. She couldn’t risk taking a stand, and alienating her more senior male colleagues, who wanted her to talk to the press and gain publicity for the lab. She felt that making such a stand on principle would have risked her future career, and she was an ambitious young woman. She said nothing, but when the time was right, years later, she said plenty. She had begun her PhD at Cambridge 1965, working under Antony Hewish and Sir Martin Ryle. These men were interested in quasars, which are bright and send out a lot of radio waves. The idea was to search for quasars by looking at natural sources of radio waves in the cosmos using something called a telescope array. An array is a group of linked telescopes, and a special array was constructed for the project at a four-acre site at the Mullard Astronomy Observatory near Cambridge. This was built largely by Jocelyn’s herself. Before she did any research she spent her time initially banging stakes into the ground and connecting miles of copper wire. Finally, in July 1967, the array was ready. It was Jocelyn’s job to go through the mountains of paper data produced by the array in these pre computer days. She went through it all, inch by meticulous inch, looking for features that the senior men were interested in. By the end of one post-doctoral project she later calculated that she had gone through 3 miles of paper; a heroic effort. One day she found something that didn’t fit in, and brought it to her lab bosses. The men poo-poohed it, and essentially told her to get back to what she should be doing. Jocelyn persisted, and eventually, she managed to convince them what she had found – a series of unexplained regular, repeating radio waves – was worth more investigation. It was found that Jocelyn had made an amazing discovery; she had found a new type of star, called a pulsar, or pulsating star. It was a massive event in astrophysics, and her more senior colleagues were now more than happy to take credit where it wasn’t due. 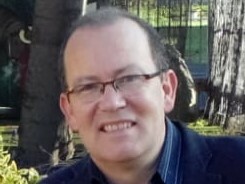 To put a tin hat on the affair, which remains one of the great scandals of science, the Nobel Prize for Physics in 1974 went to Sir Martin Ryle and Antony Hewish “for their pioneering research in radio astrophysics: Ryle for his observations and inventions, in particular of the aperture synthesis technique, and Hewish for his decisive role in the discovery of pulsars”. Jocelyn – outrageously – didn’t even get a mention. It was normal in those days for senior lab scientists, who were almost always men, to take credit for everything that happened in the lab. These days we would call what they did to Jocelyn morally inexcusable and perhaps criminal (theft of intellectual property). It is remarkable that the two men who accepted the Nobel for a discovery they didn’t make were happy to do so, and so nothing wrong with it. That too says a lot about the sense of entitlement at the senior levels of science back then. It was just impossible to give a Nobel prize to a 24-year-old woman, even if everyone knew she deserved it. If that wouldn’t make you bitter or resentful what would? A Nobel Prize for Jocelyn, or a par share in it at least, would have been a career defining event, and any laboratory or university in the world would have laid out the red carpet for her after that. It didn’t happen, and her scientific career followed a tougher, altogether less garlanded path. And yet, despite the horrendous injustice she has suffered Jocelyn is not bitter. That is to her great credit. The story of what happened to her, many scientists now believe, helped the cause of women in science by bringing their plight into sharp focus. The scandal has also helped the cause of younger researchers everywhere – men and women – because it led people to challenge the notion that senior scientists in the lab should be automatically given total credit for the work of their post-docs and PhD students. The Nobel committee today wouldn’t dare to perpetrate a Jocelyn-style injustice on a brilliant young researcher, man or woman. These days, young researchers are mostly credited for original work, and the position of women in science has vastly improved. Take a bow Jocelyn. You may have been robbed of a Nobel prize all those years ago, but your story, and the example you have set, have helped change science for the better.